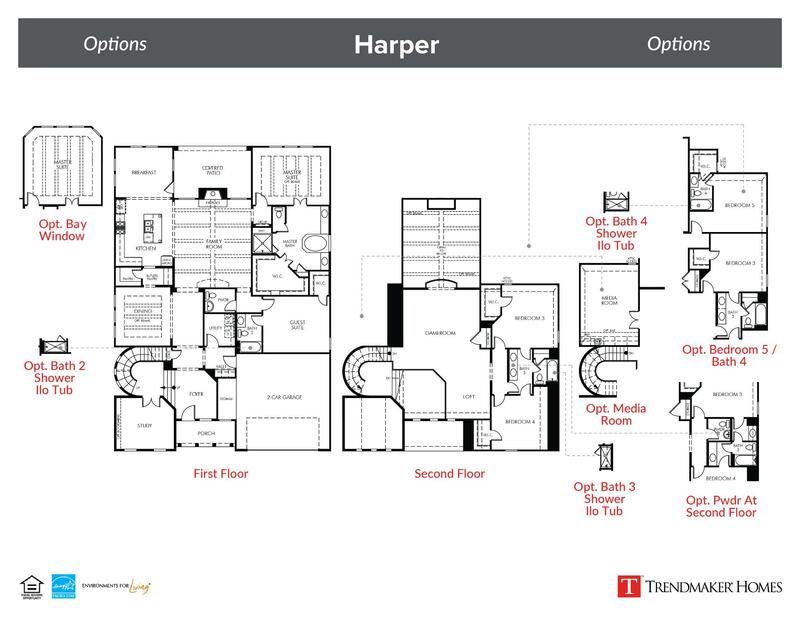 The Harper is an inviting two-story plan that is designed to impress and offers plenty of room to grow. Walking into the home you are greeted by a grand foyer with a beautiful curved staircase and access to the private study. The kitchen is highlighted by an oversized island, abundant storage space, stainless steel appliances, walk-in pantry, and breakfast nook all open to the spacious family room which features a cozy fireplace. Tucked away on the first floor is the roomy master suite complete with a spa-like master bath with split vanities, separate tub and shower, and a huge walk-in closet. There is an additional guest suite with private bath and walk-in closet on the first floor. The second floor boasts a large gameroom and loft with additional bedrooms and connecting bathroom.